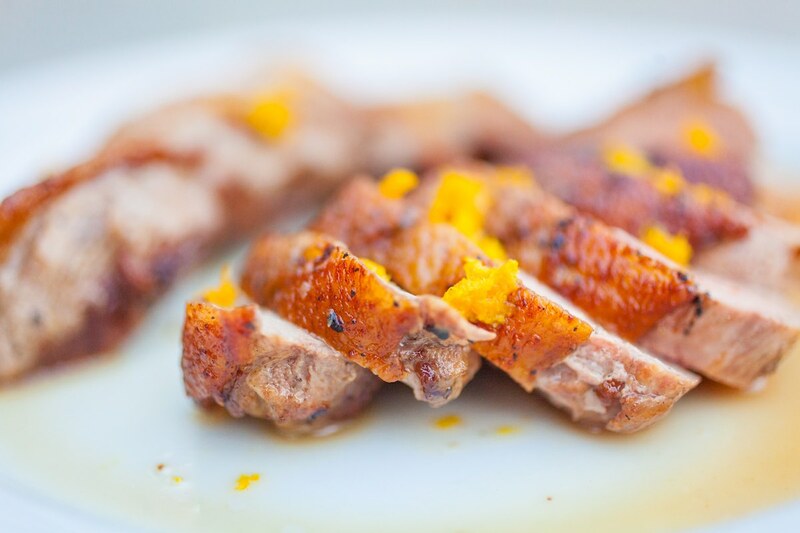 Pitmaster Josh Cary and Chef Tom Jackson talk about the classic French dish Duck à l’Orange, and take it up a notch by cooking it on the Kamado Joe Classic II Ceramic Grill. Preheat your charcoal grill for high heat (400ºF) direct grilling. Place 3-4 fist-sized chunks of hickory wood on the coals. Place a Lodge 12” Cast Iron Skillet on the cooking grate to preheat. 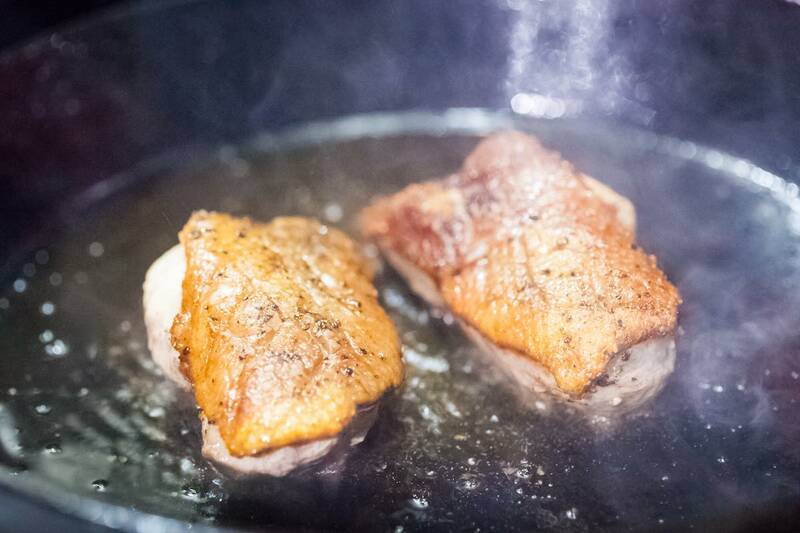 Place the duck breasts skin side down in the skillet. Cook until seared and browned, flip and close the lid of the grill. Continue cooking until the internal temperature reaches 150ºF. 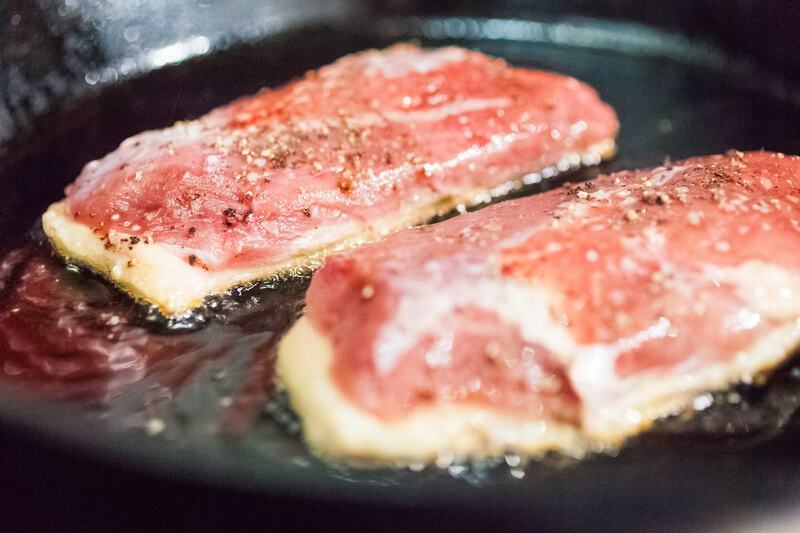 Remove the breasts from the skillet, cover and put in a warm place. Deglaze the skillet that the breasts were cooked in with the duck/chicken stock. Scrape up the fond from the bottom of the skillet with a wooden spoon. Remove from the grill. 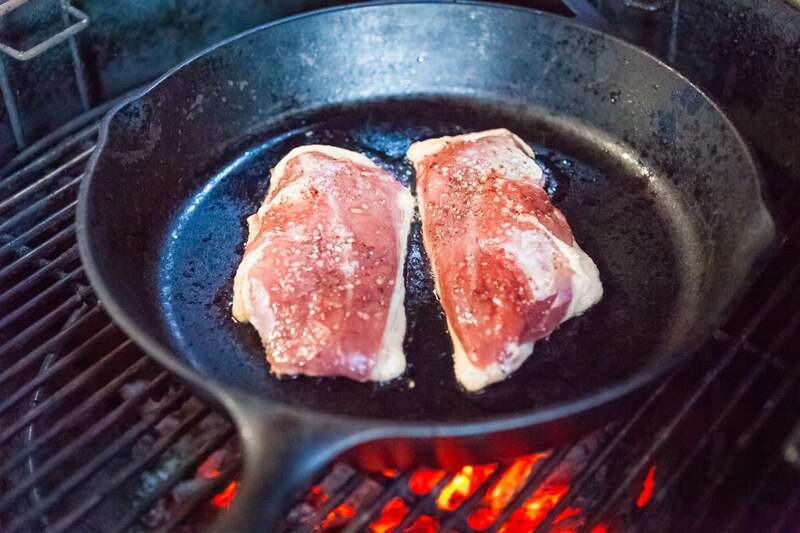 Place a smaller cast iron skillet on the grill. Add the sugar and vinegar and cook until the sugar begins to caramelize. Remove from the heat and whisk in the orange liquor. Return the skillet to the heat. Add the stock, pan drippings, and orange and lemon juices. and cook until the sauce is slightly thickened; about 10 minutes. Remove from the heat. Add the butter and swirl until incorporated. Strain the sauce. 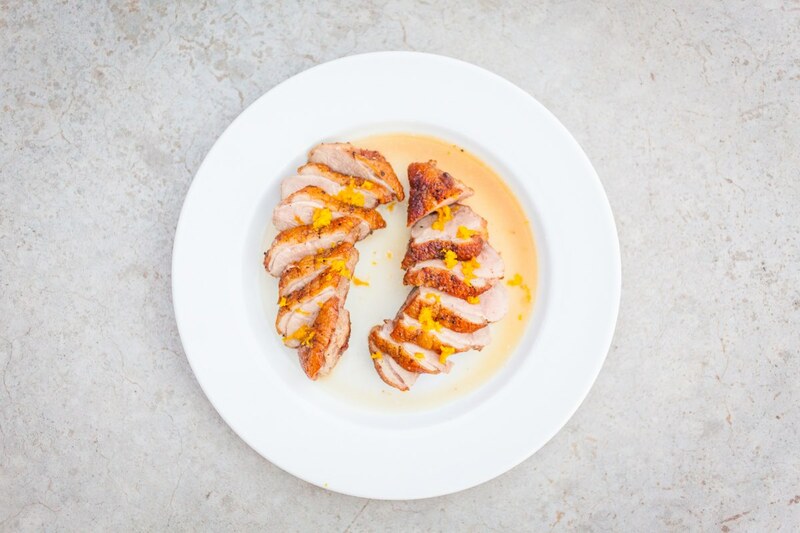 Slice each duck breast and top with the orange zest. Ladle the sauce over the top to serve.